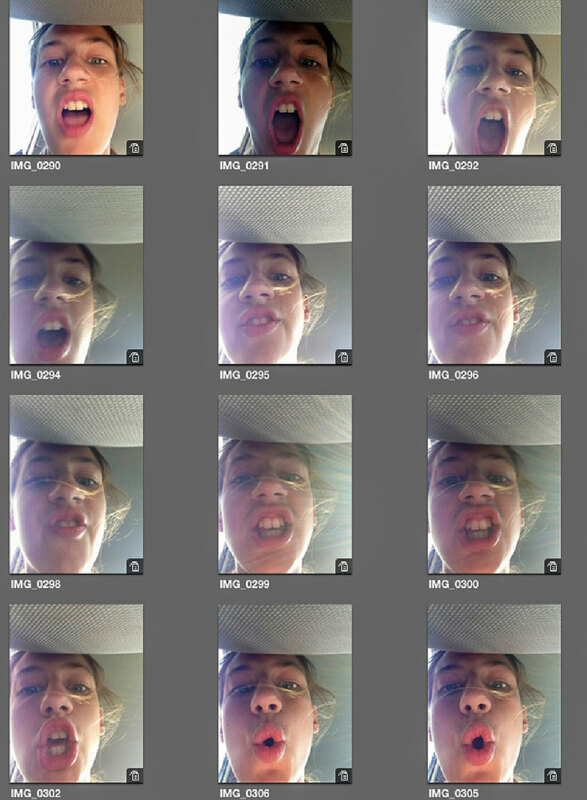 Speaking of Selfies, there is Calli - who manages to borrow my phone for one minute and take over 100 selfies. So Selfie is the Oxford Dictionary’s 2013 "Word of the Year." Good for us and our Couplies! We have been taking pictures of ourselves for a really long time. We took the oh-so-young picture of us on the About Us page in 1970 with a shutter release cord, Bernie’s dad’s tripod and a couple of gelled spotlights. If it was good enough for Rembrandt and Van Gogh, far be it from us to deny the call to document our presence with friends, food or some notable landmark. What might Vincent have done with an iPhone? One shudders to imagine. Back in the 80s when we would travel Bernie would bungee our point and shoot camera to a lamp post, street sign or column, set the timer and run like hell to get in the picture. Of course with the iPhone and our Olloclip, it has become much easier to "shoot" ourselves. We don’t both fit in the reverse camera, so it’s good that one of us is a big man with long arms. Bernie holds the camera way out and “Voilà,” wrinkles, purple hair, Maine man beard attempt, chubby cheeks and all. Sometimes we look pretty good... sometimes we are just out of focus and older. Thanks for the recap of 2013. Hard to believe it's over. You both look like your happy and having a great time. I always enjoy reading your posts, so keep sending! OMG you two are most amazing wonderful and bring such fun and so many smiles to all of us! Love these selfies!!!! Even when we think we don't look our best, those who love us, all of us who so love you two, see the beauty that you are from the inside and lights up your entire being. Thinking of you every day my dearest fantastic traveling friends! Happy New Year!!!! All my EFL students at ILI know the new word "selfie". Next week I am going to have to teach them "couplie". 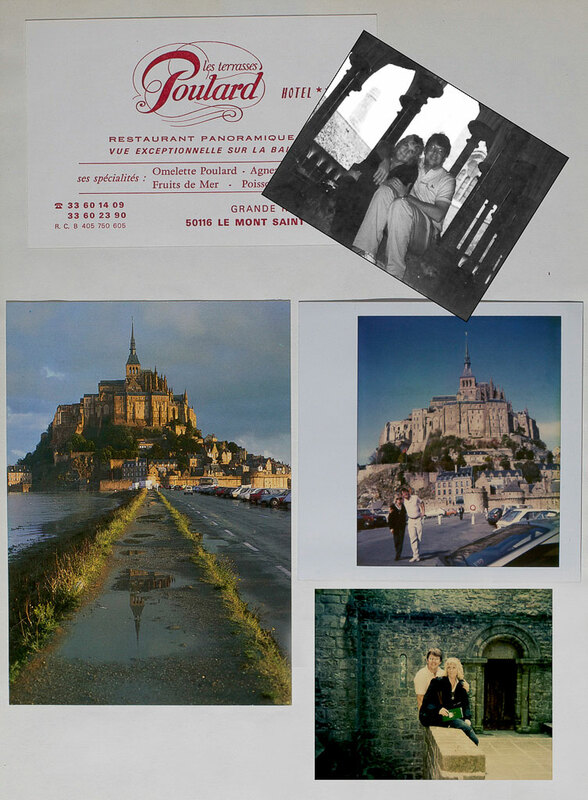 I have also been to Mont Saint Michel, once in the cold cold winter when there was no-one there except jordan and me,and then in the hot spring on a long weekend with Timo when the place was mobbed. May you have many many more couplies! P&B Loved it. I guess if I can't see you in person, I'l have to do with the couplies.